What Does A Trump Administration Mean for the Desert? 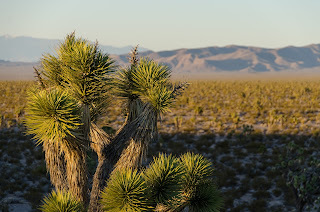 The outlook for desert wildlands is dismal under a Trump Administration, and we will have to be even more vigilant and vocal to stop Washington from undermining the legal and administrative pillars that protect our public lands and wildlife and to keep bulldozers off of intact habitat. I have been critical of some of the Obama Administration's choices and policies regarding wildlife and wildlands, but there was always give and take within the bounds of existing laws and a relatively strong role for science in how policies were formulated; that probably will not be the case under Trump.